Ensuring that every child begins school on track academically and socially is one of the best investments we can make as a region. Currently almost 2/3 of Montgomery County children are not ready for kindergarten when they start school. The children who are behind when they start often stay behind, doing poorly on the mandated third grade reading and fourth grade math tests. And good scores on those tests have been linked to high school graduation, higher education degrees or certificates and success in the workforce. Not surprisingly, poor academic achievement can be linked to criminal behavior and incarceration. It is not difficult to connect the dots. An abundance of research shows that a high quality preschool experience can prevent many of the common and critical problems educators see in the primary grades, setting the stage for a child to succeed in school and, later, in life. Many parents want a high quality preschool experience for their children, but simply cannot afford the high price tag. Recently LEAD decided to partner with Learn to Earn/ Ready Set Soar because its goal is the same as ours: to ensure the availability of quality, affordable preschool for all four-year-olds in the county. 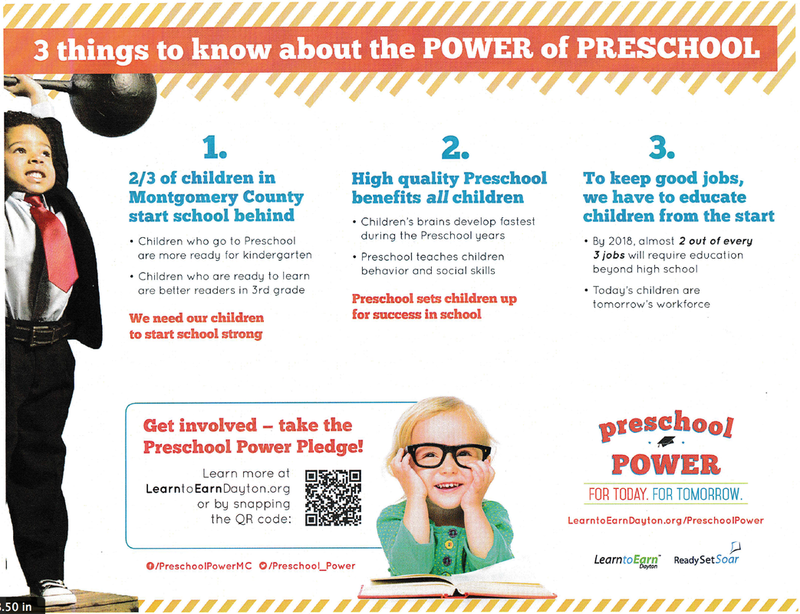 This year we are actively promoting its Preschool Power campaign, which aims to raise awareness about the value of preschool and to secure pledges from citizens stating their support for the campaign. By signing the pledges, (not financial) you are helping to build the political will needed to make quality preschool for all a reality. When quality preschool is available for all who want it, not only will our children benefit, but the entire region will benefit.